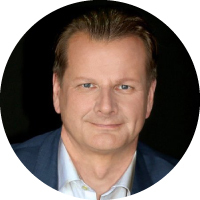 Oliver is a Senior Technology Executive with 25+years of influential leadership in different industries (High Tech and Financial Service) with UBS, SAP, Allianz, Deutsche Bank, and IBM. He is a Change Agent able to drive large-scale, cross-cultural, trans-continental transformations that bring people together, deliver measurable gains, and position companies as innovators and industry leaders. He is a recognized thought leader in FinTech, Blockchain, Enterprise Mobility, and Cloud Computing. A pioneer in spotting trends and employing business-building social media strategies from the CXO role. In 2013 as the UBS group CIO, I was in charge of innovation and digitization and during this time we defined the innovation management framework embracing the FinTech ecosystem, examining what the different areas in Fintech are and what areas we should focus on. Then, in 2014 we started working with a company called Lykke, it was one of the first startups using Blockchain and I worked with Richard Olsen, the Founder. Together we did a visibility study at the beginning of the year and we realized the impact and possibility of Blockchain on the product side of the Fintech industry, enabling us to simplify our products and services. We then tried to scale the innovation funnel based on the ideas we had devised with startups. So, we created in 2015 a global competition for Fintechs, we received over 700 applications and then through a regional selection competition we picked the best 12 winners globally. I’m very passionate about the market infrastructure of the financial service industry, which will change significantly over the next few years. I think the way we do business, business models and key players will change over the next five to ten years. I also think the convergence of disruptive technology like the Internet of Things and Blockchain will pave the way for new solutions that will heavily disrupt the financial services business. David M. Brear, I have also worked very closely with Simon Taylor, Chris Gledhill, Spiros Margaris and Bill Sullivan. I usually look outside of the financial service industry for inspiration, because it is important to have an outside view and so I engage with Dion Hinchcliff and Michael Krigsman who I have known since SAP, so it has been eight years and since then I’ve been pretty much in touch with them. Also Ray Wang is influential. I prefer collaborating on product development, a whitepaper or speaking at events rather than podcasts or webinars. I am accessible through all of my social media channels, Twitter, LinkedIn or my website.